Travel Lanes-Hey, Hey, It's Travel Lanes! Philly's Frank Brown has been in the power pop scene for quite a while now, in bands such as Flight of Mavis and Buzz Zeemer, and most recently went solo with 2005's excellent Out of the Blue. 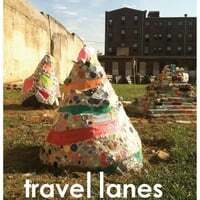 He now returns with 3 of his fellow Philadelphians as Travel Lanes, and their 7-song debut EP is a treat for fans of Tom Petty and The Replacements. The catchy "Scared of Girls" opens the EP, with Brown's Elvis Costello-styled vocals and the driving rock beat recalling EC's own "Red Shoes", and "Intervention" could pass as one of his mid-80s guitar ballads. 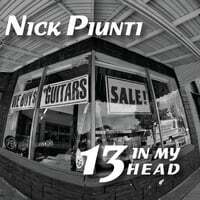 "Delinquent" is a sardonic and melodic mid-tempo tune that's Graham Parker meets Nick Lowe, while "Let You Down" closes the EP in riff-rocking fashion. No frills here, just high-quality rock like they used to make it. 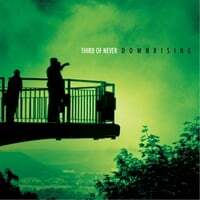 Third of Never-Downrising. Kurt Reil doesn't let the grass grow under his feet - while not churning out records with his main band The Grip Weeds and releasing solo material, he's giving us new music with side project Third of Never, and Downrising marks that band's full-length followup to 2007's Moodring (with a split 2011 EP in between). Downrising features more of Reil's retro rock, kind of The Grip Weeds meet The Smithereens (literally so to an extent as Dennis Diken guests on drums). In between the various interstitial instrumental tracks that give it a 20th-century album feel are some top-drawer tunes. The driving "Automat" is a standout, with verses that recall The Moody Blues in their more rocking moments and a chorus that channels the Weeds. Also of high quality is the jangly "Green Roses", while "So Long" is classic psychedelic rock and "On My Way" betrays a hint of The Move. A classic example of classic rock. 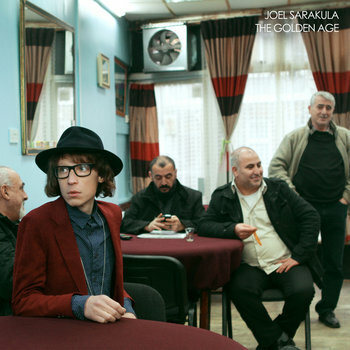 Joel Sarakula-The Golden Age. London-by-way-of-Australia's Joel Sarakula is a top-notch synthesist, taking pop styles from the 60s through the present day and mixing them up to create a tour de force that should appeal to anyone with a ear for melody and song structure. Sarakula first caught my attention in 2009 with City Heart, which found him primarily a piano popper. But as good as that album was, it didn't prepare me for the leap forward he takes here. The lean, spare piano sound of "I Will Deliver" starts things off in auspicious fashion, reminiscent of Spoon's "I Turn My Camera On" by way of Blur, while "Old Yellow Photographs" is a jaunty 60s, Merseyside-style pop romp. The Elvis Costello-influenced "The Lows" is a minor-key marvel, and "Only One Still Dancing" finds Sarakula singing in a Mika/Scissor Sisters-like falsetto that also reflect those artists' 70s influences. Elsewhere, "Matchstick Girl" is Teenage Fanclub-style guitar pop, "Good Books" is joyous, no-frills piano pop, and the lovely closer "Who's Gonna Love You Now" bears a Burt Bacarach influence. Another top 10 candidate for 2013. Mozley-EP. 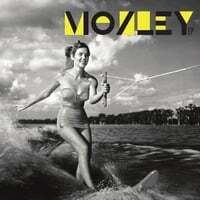 The mysterious Mozley strikes again. In an age where with a computer and an internet connection you can find out almost anything about anybody, this Arkansas rocker (I only know he's from Arkansas because it says so on the CD Baby page) remains an enigma with no website, Bandcamp page, YouTube channel or Twitter feed. In fact, I'm not even sure Edward Snowden could find him. So be thankful I regularly check out the CD Baby new release pages, because I can't think of another way to find out if he has a new release. Anyway, after a strong debut album in 2011 and a fine followup last year, he's back with a new 4-song EP that continues the Replacements/Big Star-themed sound of the two full-lengths. Moody rocker "Took it Easy on You" opens things and sounds as if it came from All Shook Down, and the (for him, ironically-titled) "Remember My Name" boasts a memorable keyboard hook while "Closer to It" has a Pixies/Nirvana feel. While it may not be the year's top EP, I'm including it here since there's probably no other way fans of the first two albums are going to find out about it otherwise.